Our range of products include pressure regulating skids. We are offering Pressure Regulating Skids to our clients. We provide high-quality products to our clients. 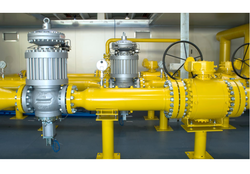 We provide Pressure reduction skid for various liquid gases like LN2, LNG.